There are thousands of people who have become celebrities mainly by being related to an already famous personality. Tasha McCauley is a business personality who became famous by being the wife of a well-known actor and filmmaker, Joseph Gordon-Levitt. In the professional field, Tasha is known as a successful scientist who co-own a robotics company named Fellow Robots. Though a very private person, Tasha has remained very supportive of her husband in his career. She is also engaged in various charity activities but always tries to keep herself away from the media. Well, as it is with many business magnates, Tasha McCauley is a very confidential person who prefers to keep details about her personal life a secret. However, information gathered about her says she was born in the 1980s and was raised in Los Angeles but she spent a greater part of her life in Califonia’s city of Santa Monica. McCauley is an American and her ethnicity is white. Further quest to know more about her early years, parents, and siblings have been futile. Regarding her education, Tasha seems to have a sound educational qualification starting from elementary school down to the tertiary institution. She started off at Stephen S. Wise Temple Elementary School, Los Angeles, in 1985 and after about two years, she moved to Franklin Elementary School in Santa Monica and graduated in 1991. After graduation, McCauley went back to Los Angeles where she began her secondary education at Open Magnet Charter School. She later returned to Santa Monica and joined Lincoln Middle School where she studied from 1993 to 1995. She completed her high school at Santa Monica High School in 1996. Before going to college, she also attended Crossroads High School where she prepared for her college career. She finally made it to Bard College, Annandale, New York, and earned a degree in Arts. After graduating in 2004, Tasha proceeded to Singularity University, San Jose where she acquired a certificate in robotics engineering in 2011. To be skilled in business, Tasha McCauley further attended The University of Southern California Marshall School Of Busines and got a Masters degree in Business Administration, majoring in International Business Education and Research. Although it is not yet known what or who inspired Tasha’s passion for business but looking at her educational background you could easily tell she developed a passion for business quite early. Tasha did not venture into business immediately after school but she did start her professional career in ‘NASA Research Park’ campus where she was an assistant professor at ‘Artificial Intelligence and Robotics Track.’ She took up the job in 2010 and her teachings were focused on the latest technologies that have emerged in the artificial intelligence field as well as on the rapid growth of robotics. In 2011, Tasha became Singularity University’s Autodesk Innovation Lab director. That same year, she co-founded Fellow Robots based in NASA Research Park and worked with the company for three years. Leaving Fellow Robots after three years, Tasha McCauley joined GeoSim Systems and became the company’s Director of Business Development. Not only that, but she was also among the Ten to the Ninth Plus Foundation board members. In 2014, she found herself at Kairos Global Summit where she served as a panelist and in 2016, she spoke as a guest at the Web Summit, held at Lisbon, Portugal. Currently, Tasha’s net worth is estimated at $10 million but when combined with her husband’s earnings, it runs around $35 million. Her husband, Joseph Gordon-Levitt earns quite a lot from his career as an actor with over 60 credits as a leading actor in TV and Films. The couple even bought their mansion in Los Angeles, California, a vintage-style house with three-bedroom for $3.25 million. 1. 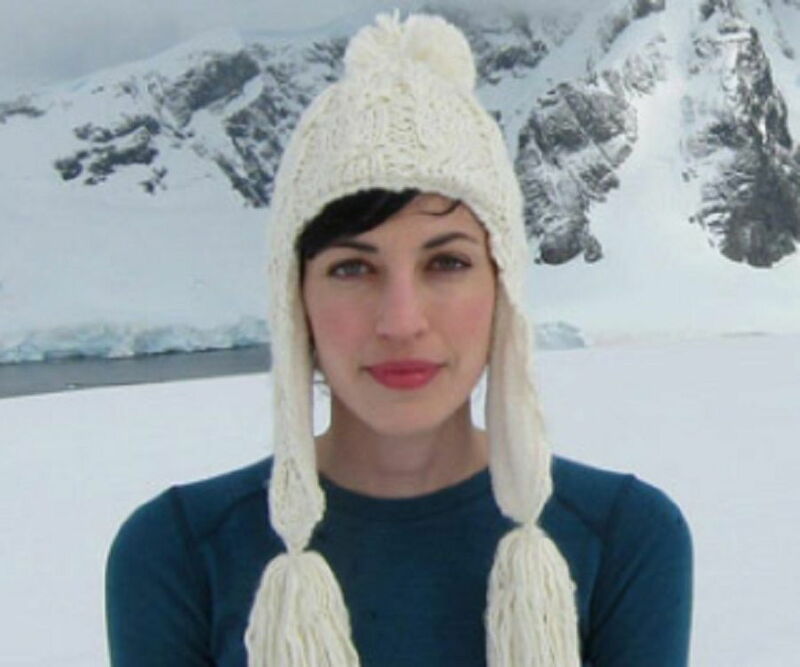 Tasha McCauley is fluent in different internationally recognized languages like English, Arabic, and Spanish and this is because she has been to different places like Antarctica and Cuba. 2. She married her husband, Joseph Gordon-Levitt on December 20, 2014, and it was in a secret ceremony. 3. Tasha McCauley is an expert in prototyping and designing software that relates to robotics. 5. She was once a volunteer firefighter for the New York State.